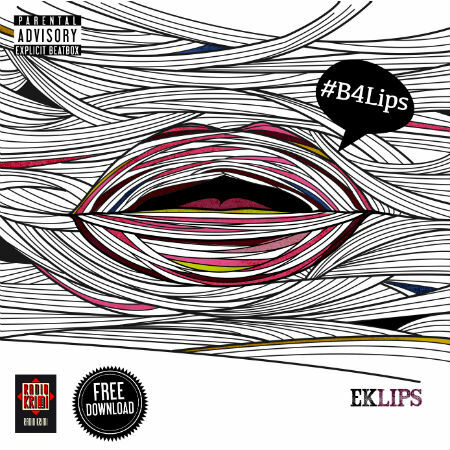 Eklips teases new album with EP “#B4Lips” in free download! Known for his youtube videos with millions of views, French beatboxing artist Eklips has been touted by many as a next-generation beatboxer, ready to take the artform to a higher level. Following numerous shows that have seen him take the stage all over the globe, Eklips is now back with a new project: “#B4Lips”, a teaser of his amazing upcoming 8-track album “Lips“, made entirely using his mouth and lips to create organic music that will no doubt prove a hit with everybody who loves hip hop, soul, funk and jazz. “#B4Lips” comprises 3 songs which are all up for free download via Radio Krimi Records. Each track is a rework inspired by an oldschool classic; “Move Your Lips” is a tribute to Michael Jackson‘s masterpiece “Thriller“, while “Voice In The Hood” is based on Stanley Clarke’s “Black On Black Crime“, famous for being included in the soundtrack of movie “Boyz N’ The Hood“. Finally “Freak Out remix” draws from Nile Rodgers legendary party anthem “Le Freak” by Chic. Showcasing Eklips‘s incredible talent and versatility, these 3 tracks prove the massive potential of this artist and beatboxing in general. Get a taste of Eklips and stay tuned for his full-length “Lips“, guaranteed to be a beatbox classic!